This modern check pattern tie will instantly add an interesting design element to any suit. The modern and unconventional check pattern is paired with a fashionable color combination of sapphire blue and solid black. 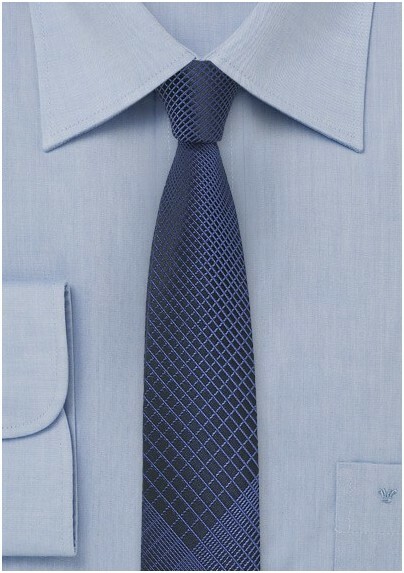 Also adding to the contemporary look of the tie is the slim width of just 2.25 inches - perfect for the modern businessman! Made from care-free microfiber. 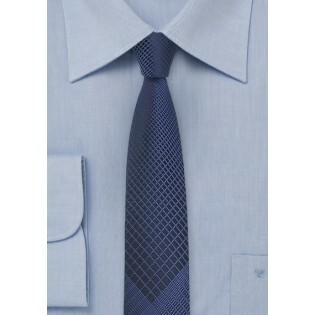 Tie Length: 57", Width: 2.25"